Fresh organic blueberries are, by far, one of my favorite snacks. Most of the time I eat them the same way people eat M&Ms. I just toss a small handful into my mouth, then savor the sweet burst of flavor that explodes when I bite into them. Some of my patients have noticed this strange little “addiction” of mine. One of my long-time patients even teases me about it… she calls me Dr. Blue-weiss instead of Dr. Blyweiss. Well I’ll be honest with you. The taste alone is enough to have me hooked on these tiny berries. I might even eat them if they were bad for me. As small as blueberries are, you wouldn’t think they would pack much of a punch. But I’m getting a plethora of health benefits every time I munch on them. Blueberries are jam-packed with a potent class of antioxidants called anthocyanins. And for every 15 mg of anthocyanins you eat, you can potentially decrease your chance of a heart attack by 17%. You can get an average of about 100 mg of anthocyanins by eating just a half cup of blueberries! That’s a heck of a lot of heart protection, isn’t it? You see, once you ingest anthocyanins they go to work to lower your blood pressure and clear oxidized LDL cholesterol from your bloodstream. This is a big bonus for your cardiovascular health. When cholesterol is oxidized, it’s destructive. It rears its ugly head in the form of inflammation that damages your arteries, promotes plaque build-up and restricts blood flow to your heart, brain and other organs. 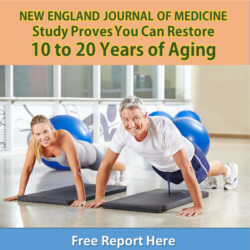 This makes eating blueberries a delicious way to protect your cardiovascular system. As a bonus, anthocyanins also stimulate the flow of blood and oxygen to your brain. This helps boost brain signaling, which can keep your brain younger and smarter as you age. In fact, people who eat the most blueberries are able to delay cognitive aging by up to 2.5 years. Plus, more oxygen to your brain helps keep your mind more active, alert and focused throughout the day. So snacking on blueberries or enjoying a blueberry smoothie in the late morning could significantly boost your daily brainpower. Blueberries are also a great source of fiber. A half cup has about 1.8 grams of it. This won’t fill up your daily balance, but it can certainly help round it out. And while the jury still isn’t in on this one yet, there is some evidence that anthocyanins have the potential to mop up cancer cells. In preliminary research, it appears that they promote the death of cancer calls, help prevent them spreading and also reduce the invasiveness of cancer. So yes. These little berries pack an extremely powerful punch! But if you eat them the wrong way, you could destroy all of the health benefits they offer. I’m a blueberry advocate. I advise my patients to eat them whenever they can. I share blueberry information with my friends. And you know what? Everyone says they love them. They eat them in pancakes, cereals, muffins and jelly preserves. Well, adding blueberries to processed, refined and sugary foods is a sure-fire way to destroy any health benefit you might get from them. You know that, right? But there is another popular way of eating blueberries that is equally destructive – and literally wipes out any positive influence they can have on your health. It’s the age-old tradition of drenching blueberries in cream. Oddly enough, adding dairy products to blueberries negates their antioxidant activity. It decreases the availability of all those healthy anthocyanins that make blueberries a super-food. So eat your blueberries responsibly. throughout the day like I do. Add them to your salads. Blend them into a non-dairy smoothie. Mix them up with other fruits and berries. One of my easy favorites is adding them to either coconut yogurt (if you’re avoiding dairy) with cinnamon and sliced bananas or an organic Greek yogurt. If you have a mind to; add them to a chia seed, nut milk, honey mixture for a pudding that is a powerful and delicious health shield against disease. The closer you keep them to their natural form, the more benefit you will gain. Cassidy A. Berry anthocyanin intake and cardiovascular health. Mol Aspects Med. 2018 Jun;61:76-82. Routray W, et al. Blueberries and Their Anthocyanins: Factors Affecting Biosynthesis and Properties. Compr Rev Food Sci F. 2011 Nov;10(6):303-320. Basu A, et al. 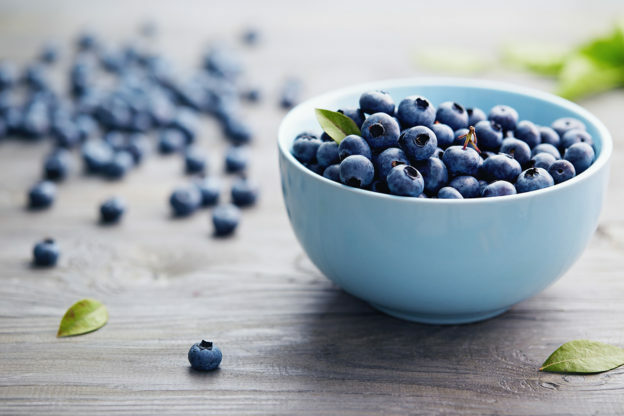 Blueberries decrease cardiovascular risk factors in obese men and women with metabolic syndrome. J Nutr. 2010 Sep;140(9):1582-7. Cebeci F, et al. The matrix effect of blueberry, oat meal and milk on polyphenols, antioxidant activity and potential bioavailability. Int J Food Sci Nutr. 2014 Feb;65(1):69-78. This entry was posted in General Health on January 16, 2019 by wellness.